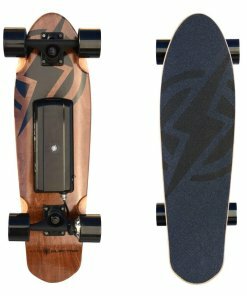 This sick little addition to our drop through line is the perfect choice for anyone wanting all the benefits of a standard drop through but with a tighter turning radius. 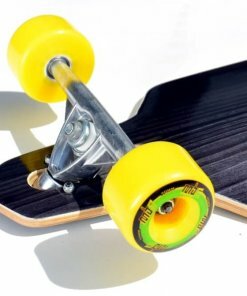 This sick little addition to our drop through line is the perfect choice for anyone wanting all the benefits of a standard drop through but with a tighter turning radius. 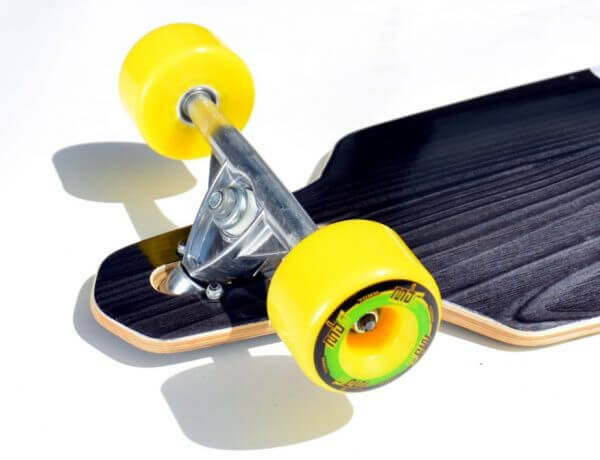 Whether you’re weaving through people or cones this little carver will definitely do the trick. 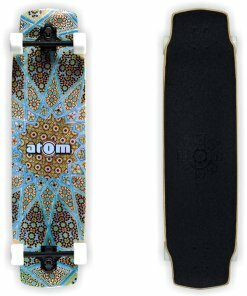 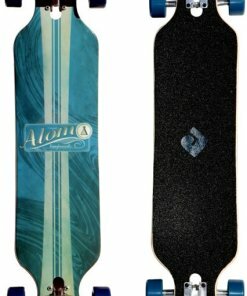 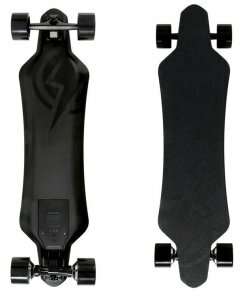 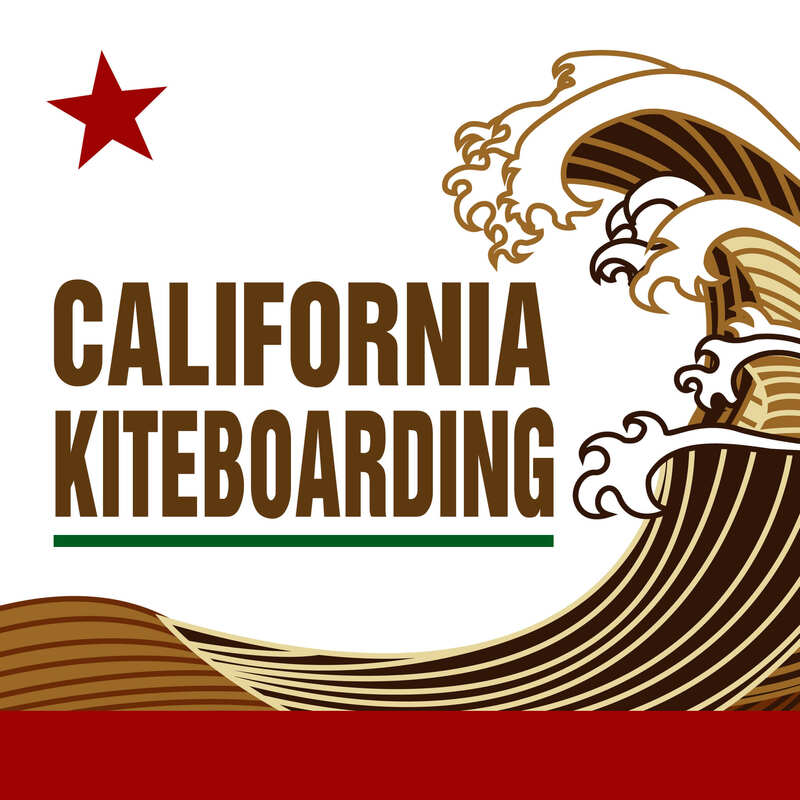 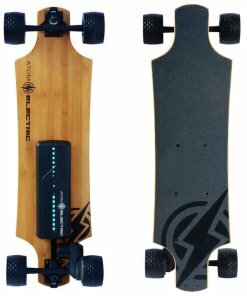 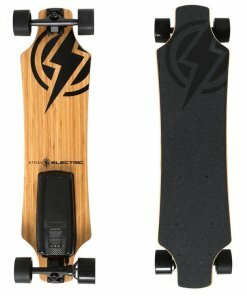 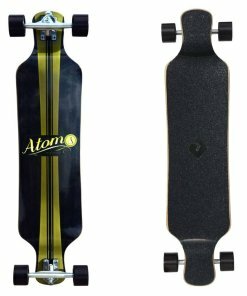 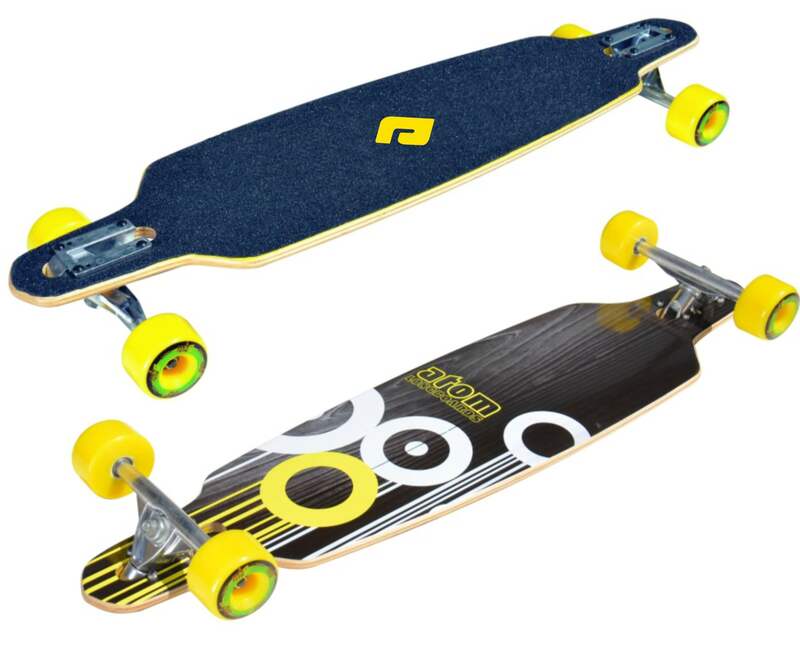 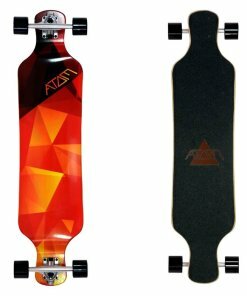 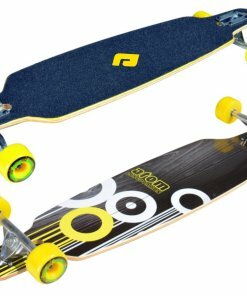 With its low deck height for easy pushing, 9″ wide deck for powering through turns, and 70mm SHR PU wheels for a cadillac smooth ride and ultra low rolling resistance the Atom 36″ Drop Through Longboard is a hard-to-beat all-rounder.